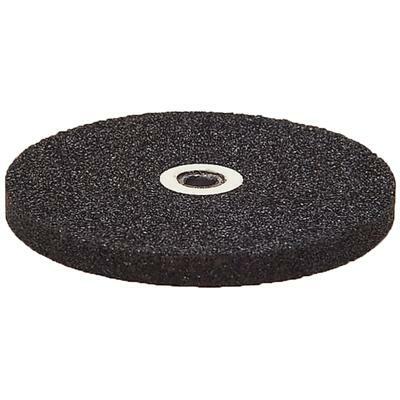 The Black Utility Grinding Wheel is excellent for trimming denture base plate materials, stone models and acrylics. The top-grade wheel delivers rapid cutting and will not clog at low speeds. The wheel has a 1/4” (6.35 mm) lead reinforced center hole. Comes in 46-60 grit.